The Poinsettia, often referred to as the ‘Christmas Plant’, was first brought to the USA from its native land of Mexico, in 1825 by the first US Ambassador, Joel Robert Poinsette. Today with the multitude of colors, sizes and shapes available, poinsettias offer an abundance of holiday cheer for every decor. 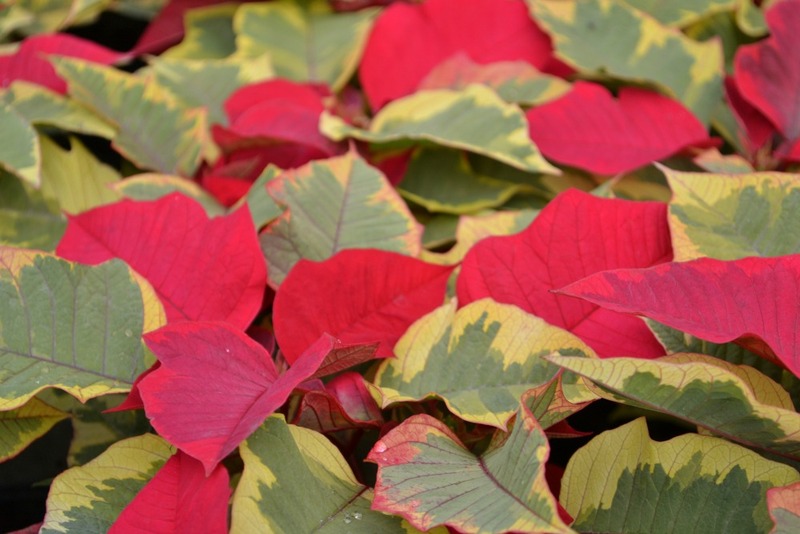 Remember to place your Poinsettia in a spot with at least 6 hours of bright indirect light, but not to be exposed to direct sunlight for more than one to two hours. Remember to never place your plant in an area exposed to drafts such as beside an entry door. Do not sit your plant on an appliance such as a television that puts off heat. This will dry out the plant extremely fast. 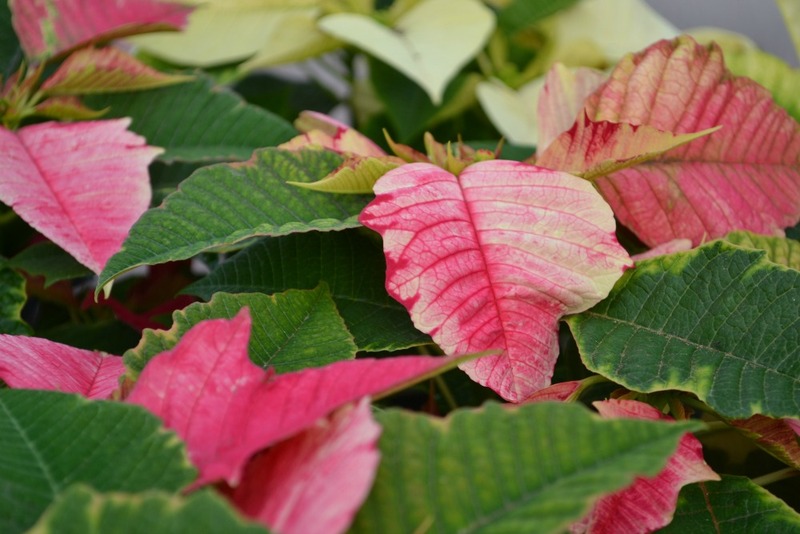 The color of your Poinsettia will last longer if the temperature does not exceed 75 degrees in the daytime and does not drop below 60 – 65 degrees at night. 70 degrees is ideal. Do not leave your poinsettia in your car while you finish your shopping. If the poinsettia is chilled it may begin to drop it’s leaves. Immediately unwrap your poinsettia when you arrive at your destination. Enjoy! Remember to keep your poinsettia away from small children and pets. 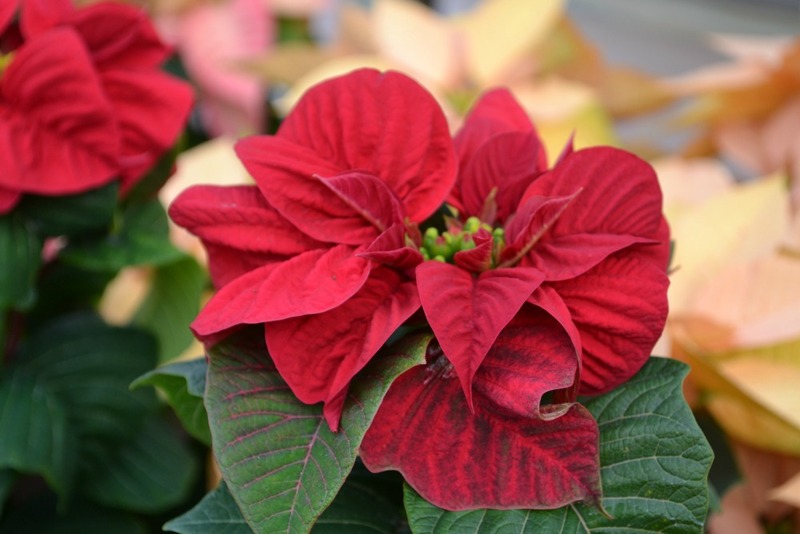 Although poinsettias are not poisonous, they could cause discomfort to stomach. Give the plant plenty of care. Don’t let the holidays cause you to forget to water the plant. When the color begins to fade around February, just place it near a window where it will get plenty of light. Trim the plant around the middle of April. Cut back to around 6″ above the soil. Fertilize the plant in May using a balanced 20/20/20 or 20/10/20 content of nitrogen, potassium, and phosphorus. Give 1 teaspoon of fertilizer per gallon of water every third watering. Repot the plant in June if the plant has an abundance of roots in the container it is in. Use a quality commercial grade of potting soil and a larger container. You may place the pot outside as long as the temperatures are not falling below 55 degrees or you may just leave the plant inside. Now you can fertilize with 1 teaspoon of fertilizer every second time you water. In August relocate the plant back inside if not done so already. Place in direct sunlight. Cut back the stems again this time leave three or four leaves per shoot. From September until the first of December the plant should stay in direct sunlight next to a window until 5:00 pm. From 5:00 – 8:00 am the plant should be placed in complete darkness. You may be wondering how do I accomplish this? Well some options are: place the plant into a closet or put the plant in a light tight box. Remember the poinsettia grown in a home environment may not be as full and lush as the ones you see in stores. Those have been grown in a professional greenhouse environment with controlled lighting, controlled temperatures, and professional growers. If you should decide to repeat the reflowering process your plant will be about 2 – 4 inches taller each year and should accordingly be cut back about 2 – 4 inches higher every year and repotted into a bigger container.